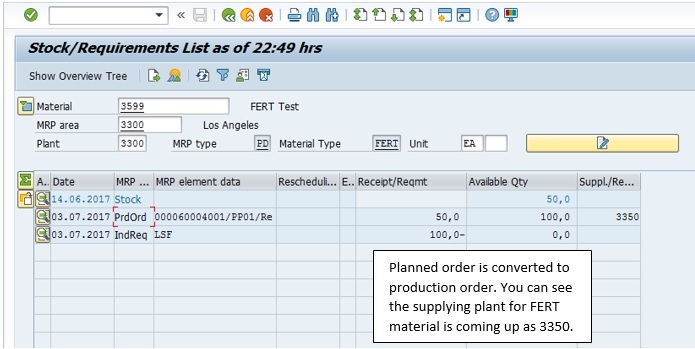 This document explains the steps required to configure a system for Production planning in a cross plant set-up. Many members post questions with a bit of variation regarding this scenario. Hopefully this blog will address any current and future queries regarding this topic. 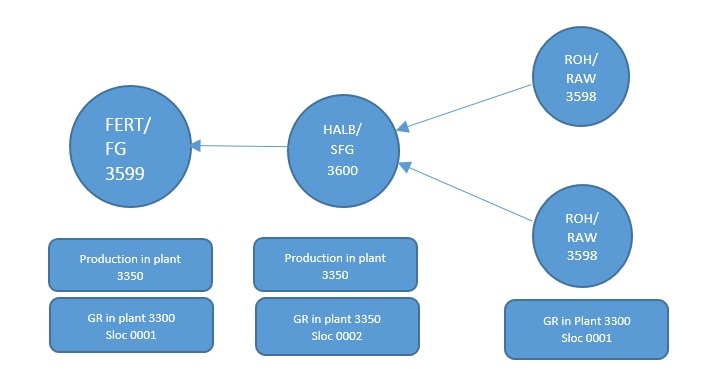 Cross plant production is one of the key parts of SAP – Production Planning, it is also know as production in alternative plant. 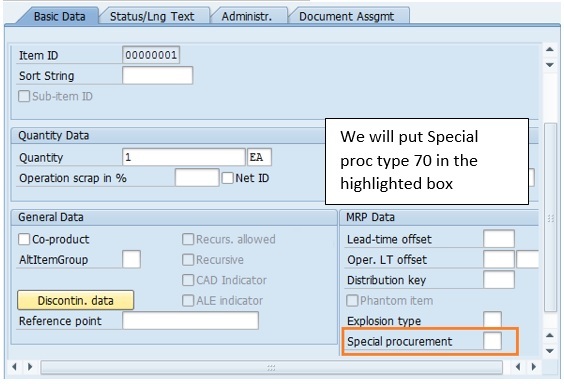 In this document we will use Special procurement types 70 and 80 to address this scenario, thus eliminating the need of doing any transfer postings. 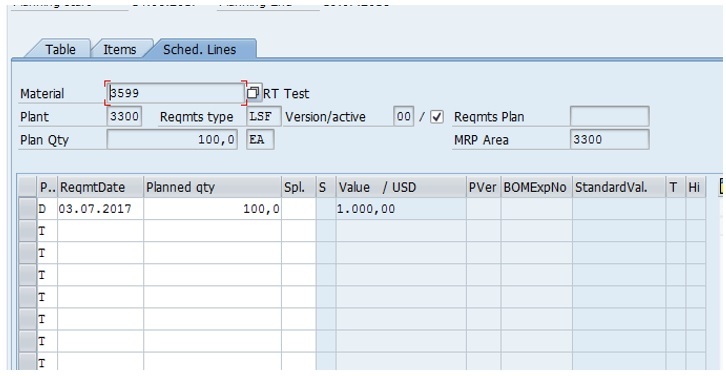 Prerequisites – Create Master Data i.e. HALB will be created in 3350 plant, while FERT and ROH will exist in both plants by extending them to the other plant through MM01. We will be working on MTS – Make to Stock strategy. 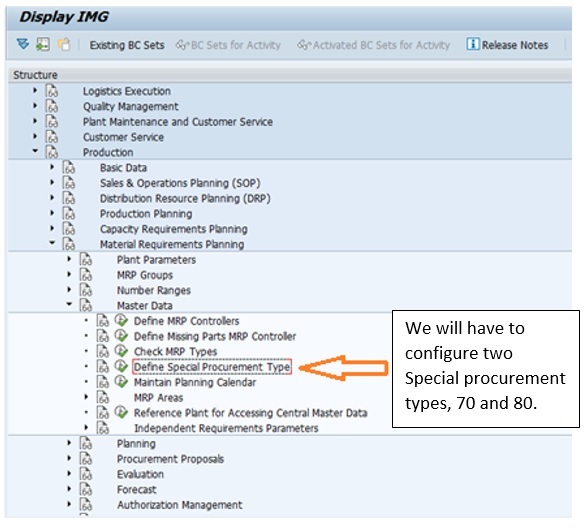 Only configuration required in this scenario is to configure special procurement types 70 and 80. For plant 3300 we will use special procurement type 80. We will mention plant 3350 in special procurement section of [ Prod. Other plant ]. For plant 3350 we will use special procurement type 70. 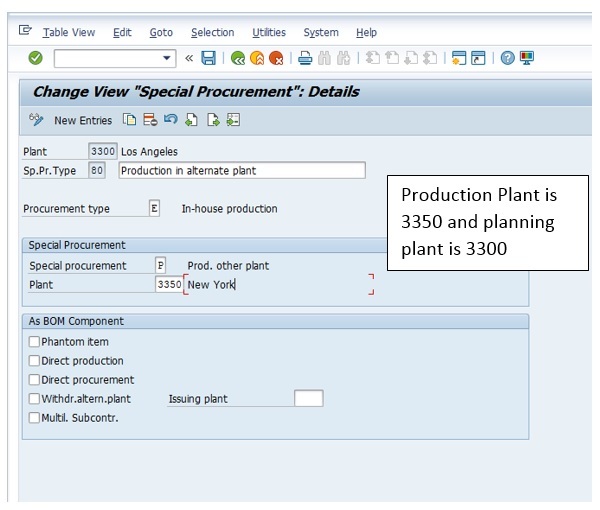 We will mention plant 3300 as issuing plant in the ‘As BOM component’ section. Make sure there’s a tick at the box of withdr.altern.plant (withdrawal from alternate plant). After completing all of the above tasks we will proceed with a real time test. 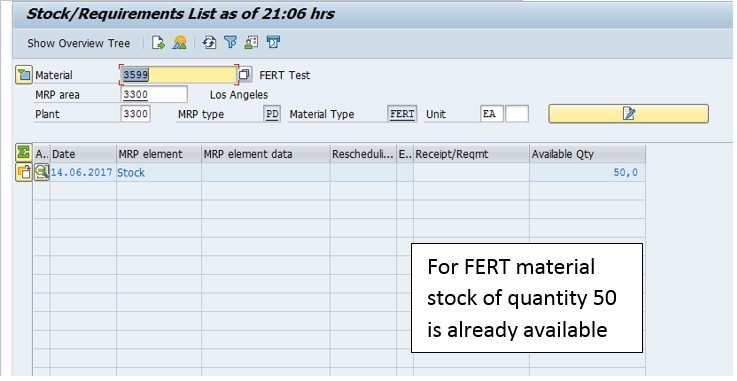 For FERT material, stock of 50 already exists thus we will have to add this in our future calculations. Now we will go to PIR planning table T.code MD61, and enter the value of 100. Make sure the date is not on a holiday. 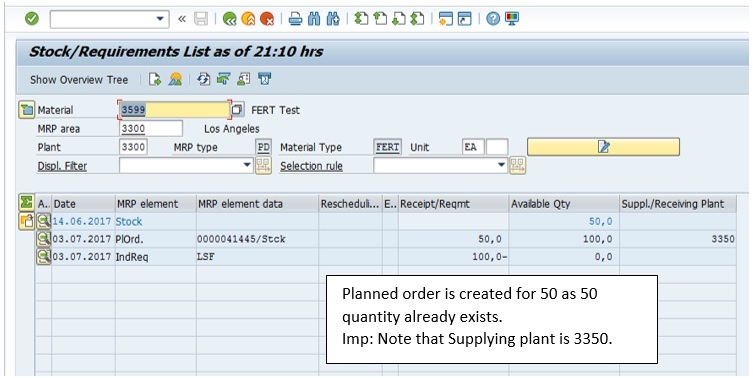 You can double check the planned qty and its date in Schedule lines tab. 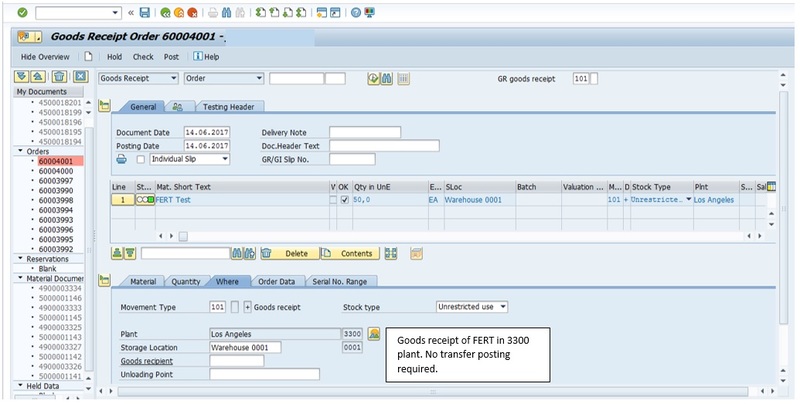 After running the MRP (T.Code MD02) we will go to stock requirement list of FERT material. Here you can see IndReq of 100 and planned order of 50 quantity. Reason being that 50 qty of FERT is already available in unrestricted stock, so that stock will be consumed first. You can also see supplying plant as 3350 because FERT material will be manufactured in plant 3350. 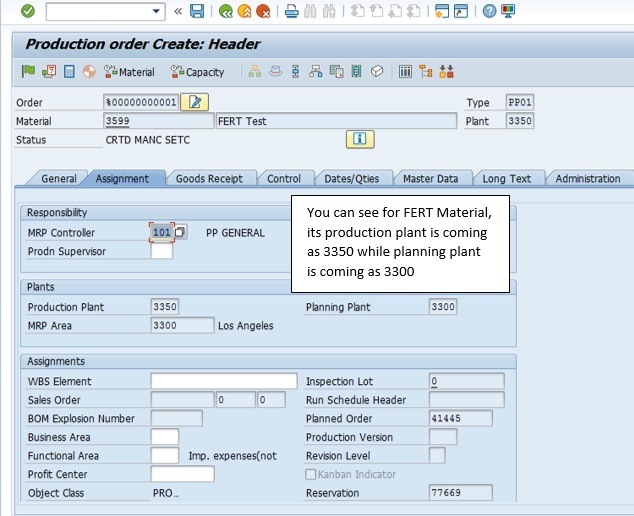 For FERT Material in plant 3350 (T.code MD04) you can see Planned order for 50 qty while 3300 plant is showing as planning plant. 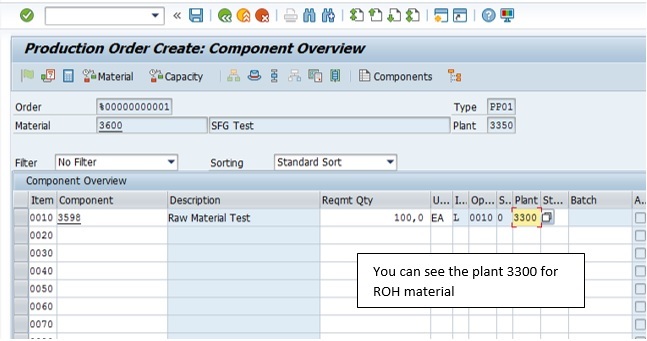 For HALB Material in plant 3350 you can see a planned order of quantity 50. For ROH Material you can see DepReq of 100 and PurRqs of 100. That’s because in one HALB material 2 ROH materials are consumed. 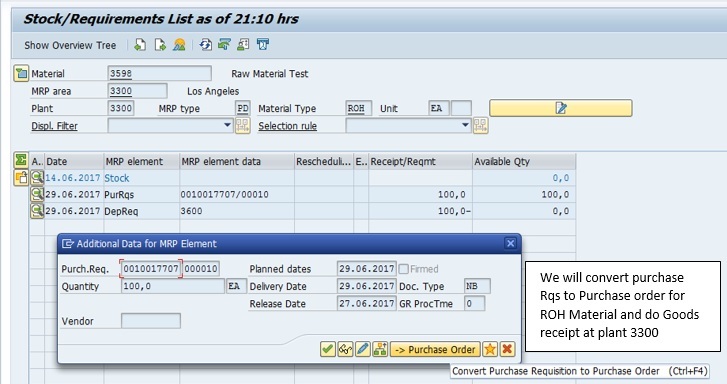 Convert Purchase requisition of ROH to purchase order and do GR in plant 3300. 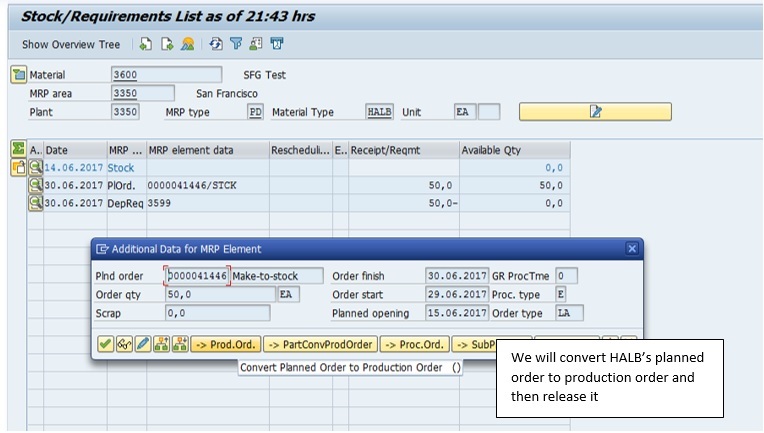 Convert planned order of HALB to production order. 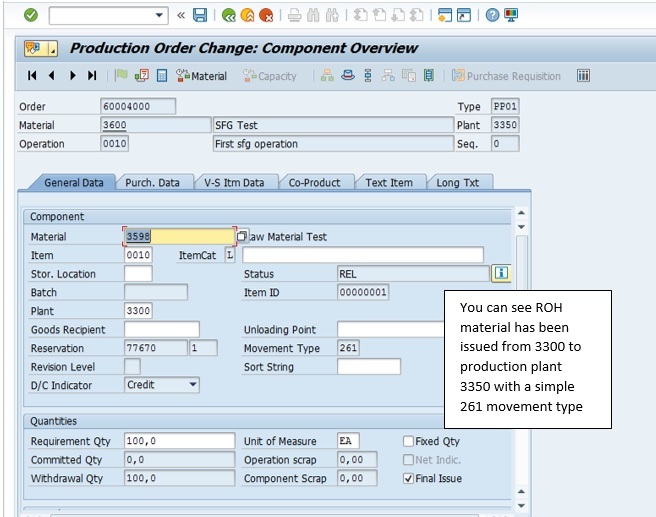 In component overview of HALB’s production order you can see 3300 plant for ROH material. 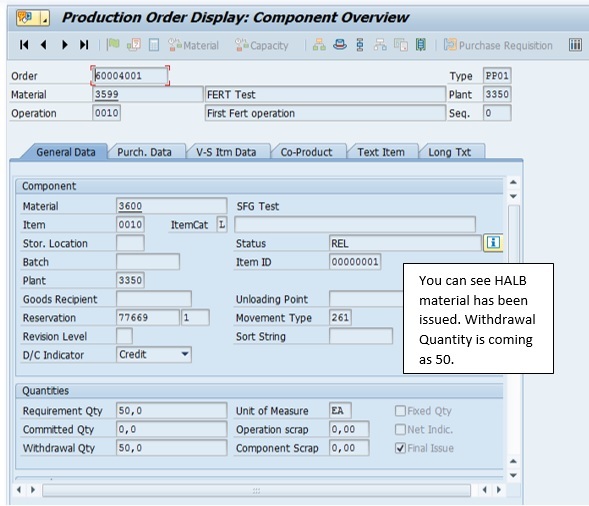 Now we will do goods issuance (Movement type 261) on the production order of HALB material. Before Goods issuance, ROH material stock is 100. 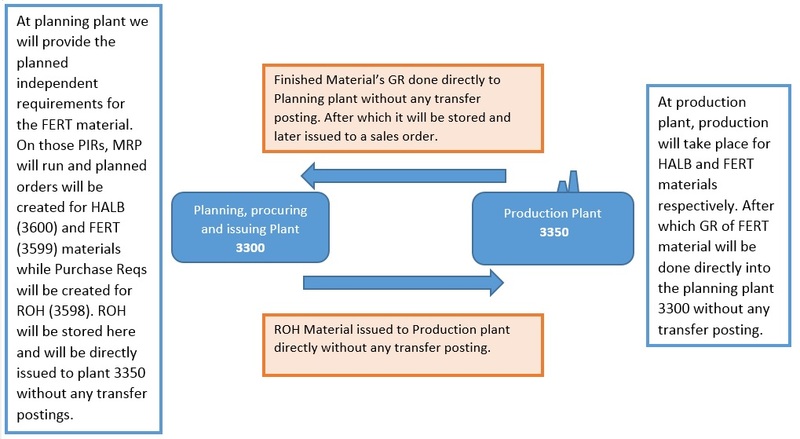 After Goods issuance, ROH material stock reduces to zero. Point to notice is that there were no transfer postings done. After doing Confirmation of HALB’s production order we will do Goods Receipt of HALB material. After GR of HALB. 50 quantity has been added to stock. After GR of HALB material, we will convert planned order of FERT to Production order. Note supplying plant is 3350. Now we will do goods issuance to FERT’s production order. 261 movement type is done. After confirmation of production order we will do GR of FERT material. 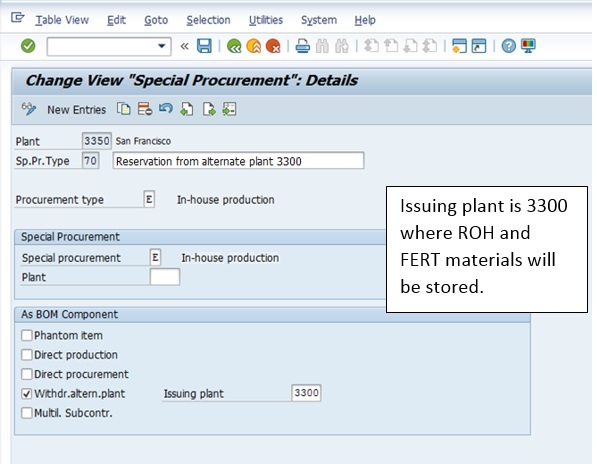 But before that you can see for plant 3300, FERT’s material Stock/requirement list is showing 3350 as supplying plant while for plant 3350 Stock/requirement list is showing 3300 as planning plant. We will go to MIGO and do GR of FERT’s production order. It will be done directly to 3300 plant 0001 Sloc without the need of any transfer postings. After GR, stock in 3350 plant has decreased to zero. 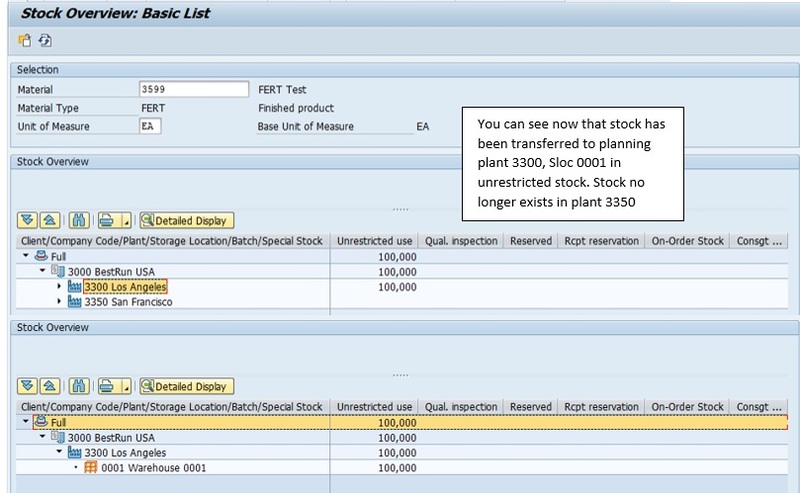 You can see in Stock overview list (T.Code MMBE) that stock in ‘unrestricted use’ is 100 for plant 3300 in 0001 Sloc, while stock is Zero for plant 3350. Production Cost will be collected in production plant 3350. There are numerous scenarios for Multi Plant Planning, I hope this blog has established a baseline understanding of how Multi Plant Planning works. Great Documentation. Thanks for sharing. Nice document . Thanks for sharing ! Hi Thanks for this document. I am working on this scenario & stuck in one place. 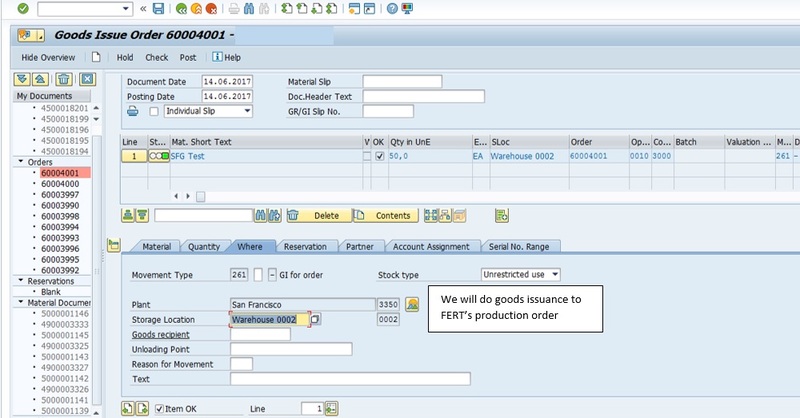 My requirement is Transfer posting from production plant to planning plant should happen after completing usage decision in production plant. How to meet this? What inspection type are you using on that material? In case it’s 04 I believe your stock will go to QI stock in production plant at which point it will require UD. 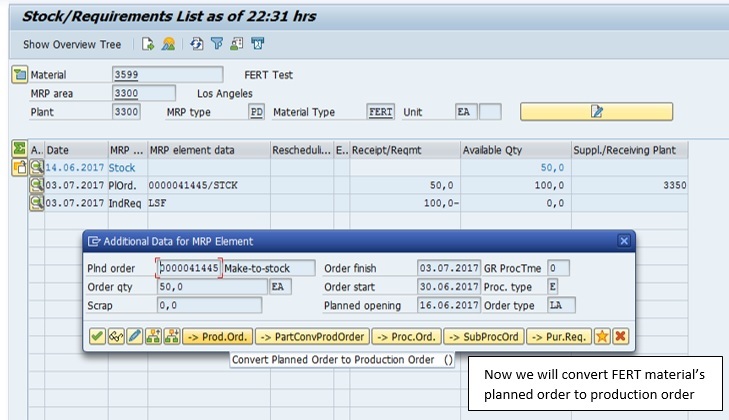 Its nice Document if possible could you please make a blog on Wip for a production order . Does this solution work when the plants are in different company codes? Therefore company A needs to manufacture 125.